Subsequent researches at the Hampshire Records Office have turned up a map of the "Aldershot Brick and Tile Works" from June 1882 (Ref 23M74/BP396), with the owner listed as a James Clark. We have seen the map, which are actually site plans for a row of houses in what is now Cavendish Mews off Grosvenor Road [Bank Street]. These houses border a site (on the map) marked "The Aldershot Brick and Tile Works", elsewhere known as "Clark's Ground", confirmed by the name of the listed owner (paragraph above). Now this could leave us with a slight problem - two Aldershot Brick and Tile Works in Aldershot at the same time! and whilst this could be a possibility as members of the Kemp family were at some time involved with both sites, it has for the moment not been resolved. For the time being the online description for this map at the Hampshire Records Office has been amended to include a reference to Grosvenor Road as the map clearly detailed. The Brick and Tile works site that this map refers to eventually became, on the eastern side of Grosvenor Road the garage / workshop sites for the Aldershot Traction Company, and latterly on the western side, a car repair workshop for the "Vicks Group" a well known local car dealership. 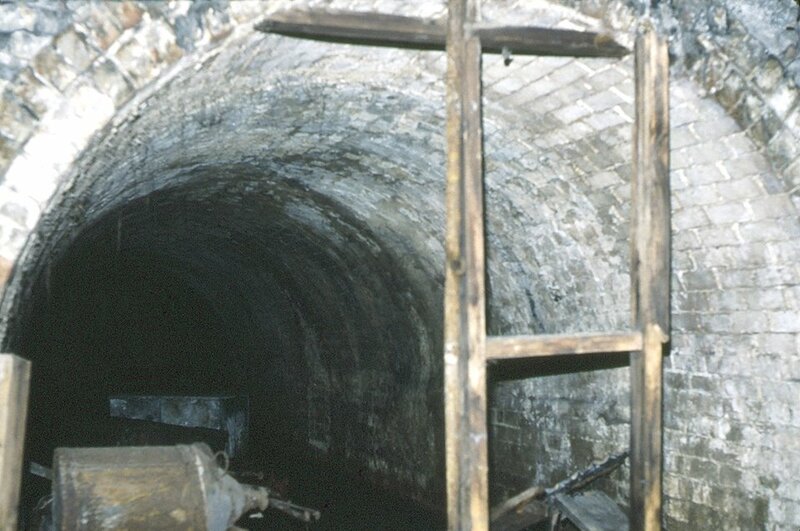 Various reports over the years suggested a tunnel under Grosvenor Road between the two sites, which has recently been confirmed with the photo (right) of the tunnel taken in 1995 by Leslie Smith. Both sites have now become housing estates in the intervening years. From the Bygone Aldershot website - "Formed around 1906 as the "Aldershot and Farnborough Motor Omnibus Co.", by 1908 a site was purchased in Halimote Road and a garage was constructed to hold four vehicles. This site remained the company headquarters and offices for many years but by 1912 the company required more funding to expand and they were reformed into the "Aldershot & District Traction Company" on 24th July 1912 after being purchased by British Automobile Traction Co. Ltd. and the New Central Omnibus Co. Ltd.
A Gazetteer of Brick and Tile Manufacturing sites in North East Hampshire, compiled by A. Wright 1980. James, born 3rd May 1844 at Aldershot, Age 37, Brickmaker, widowed. Henry, born 1862 Aldershot, Age 19, Brick Burner, unmarried. Agnes, born 1866 Aldershot, Age 15. Harry, born 1870 Aldershot, Age 11 the Harry Stonard listed above? 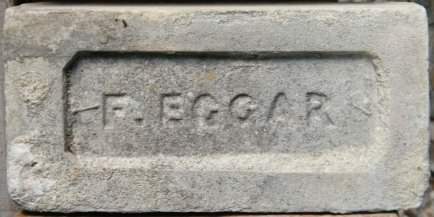 George, born 1850	Aldershot, Age	31, Brick Burner, Married, Dwelling Barkham Road Wokingham, Berkshire. Thomas Goldsmith, brick-maker and Hannah Goldsmith. "Farmhouse, Boxalls Farm. Stone and brick structure. Extensively restored. Original structure possibly C.18, on site of earlier building. Farmland was rented by Waverley Abbey until its dissolution 1536. Ref: The Story of Aldershot, (Cole), p.294. SU 866 494, Card 0102 08".